Our 2016 season started with a bang, matching up against rivals Brackenfell away, two fairly evenly matched teams took the field, us being the victor on the day. This was the start of our momentum into the season. Unfortunately this momentum was brought to an abrupt end by log winners Helderberg away. Further into our season we were unlucky with three 1 point losses, always a tough pill to swallow, however we regrouped to finish the season strong. One of the lows of our season was our match against Goodwood…at home, it was the toughest of the pills to swallow, on paper we should have been victorious on the day, however discipline and complacency got the better of us where Goodwood were victors by a single point. Coming off the 1 point narrow loss the weekend before, one of our most memorable match-ups was the game against St Georges who were running on an 8 match winning streak. The tempo of the match started fairly slow, a try a piece to both teams with us narrowly ahead by a penalty. Half time we regrouped identified areas to work on and discussed areas of opportunity in the opposition setup. 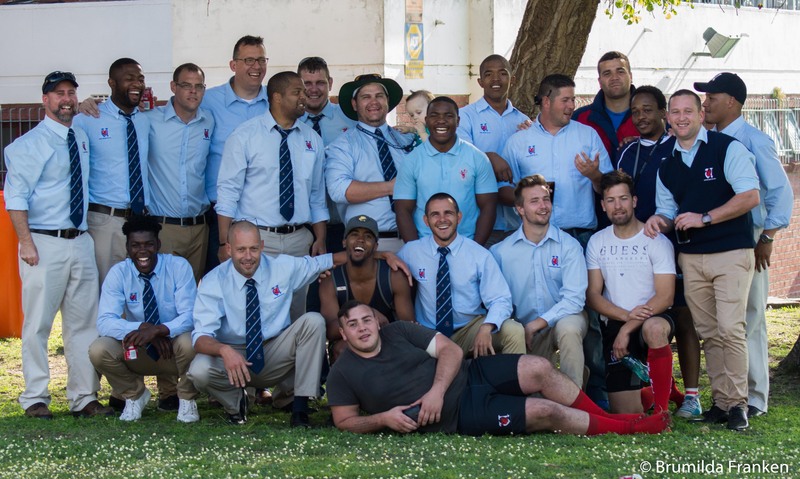 Each and every player stood up and did what was asked of them, putting their bodies on the line and playing as a unit from backs to forwards, the outcome…more tries, smiles and victory. The guys remembered that they are still playing a game and had fun. After a tough, physical season, we were able to secure 2nd spot to finish the season runners up. This an achievement in its own as the 3rd side is an ever changing setup due to constant feeding of the 2nd team. Extremely proud of all the players that were part of the 3rd team mix, you all played your part in a successful season, thank you for showing your metal, leadership and determination for making it all possible. We would also like to extend our thanks to the club as a whole and fellow coaching staff.